Visiting South Mumbai is always special. 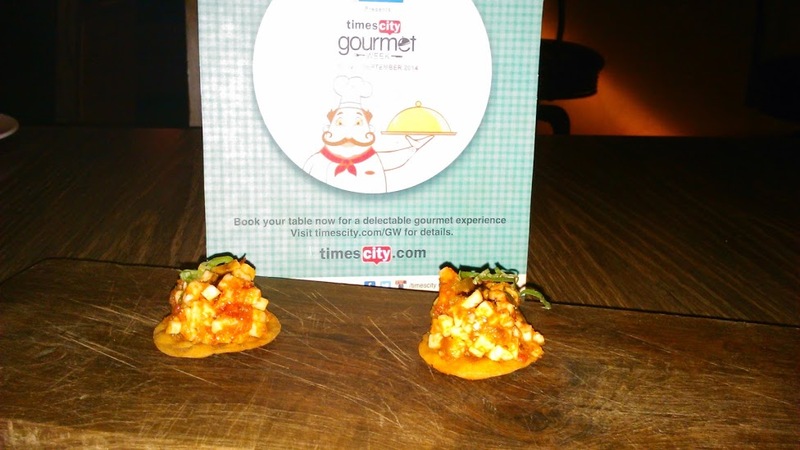 This time round it was exciting too, as it was for a share of selective treats and do a food review at the Cheval Bar and Restaurant chevalmumbai.com during The Gourmet Week 2014 organized by http://timescity.com. During restaurant week the Menus are specially curated by critics to highlight the best offerings from participating restaurants. The restaurants significantly offer better prices than the original menu. And Who better to take along, but none other than my daughter Zenia Irani aka brandedbawi. Climbing up that huge staircase and not expecting what’s in store. We got a warm welcome at Cheval reception and were guided to our booked table for the evening. The atmosphere is lively and the Bar was a beautiful sight. We were given the Menu of the #GW2014 and my daughter and I decided to select one of each dish, so we get a taste of both the dishes on the Menu. The Amuse Bouche was like a mini Sev puri only with lots of well cut cheese. The first bite and I let out a “Hmmmm”. 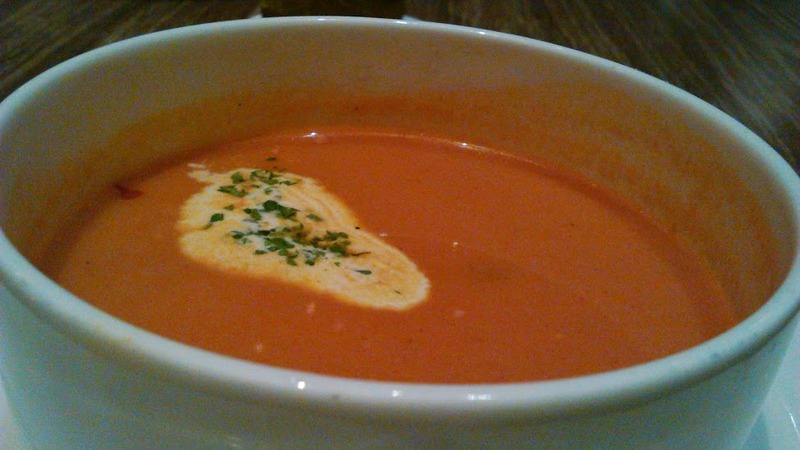 The Smoked Tomato soup was full of flavour which had that smokey aroma and taste. 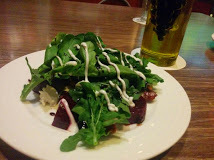 I loved my beetroot salad which was full of candied walnuts because it occasionally surprised me with the crunchiness and the sweetness combo. 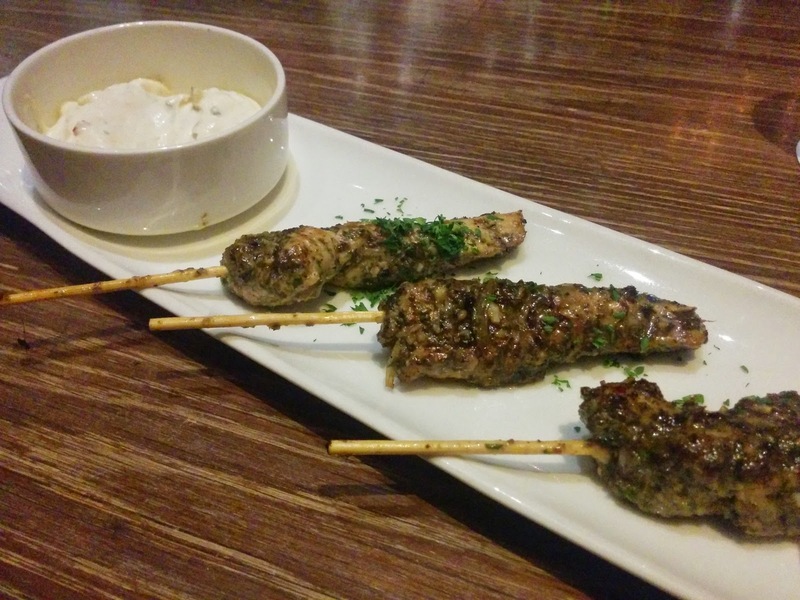 The Chicken skewers were little bland but tasted well with the dip .I especially loved the acidity in the Spanish Prawns and its presentation was truly awesome. The next course was the Mains. 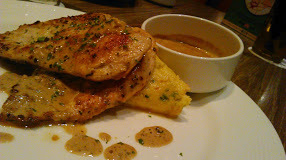 I had the Lemon pepper chicken on a bed of Polenta. It was well flavored and worked perfectly with the Polenta.The Polenta was buttery and it just melted away in the mouth. 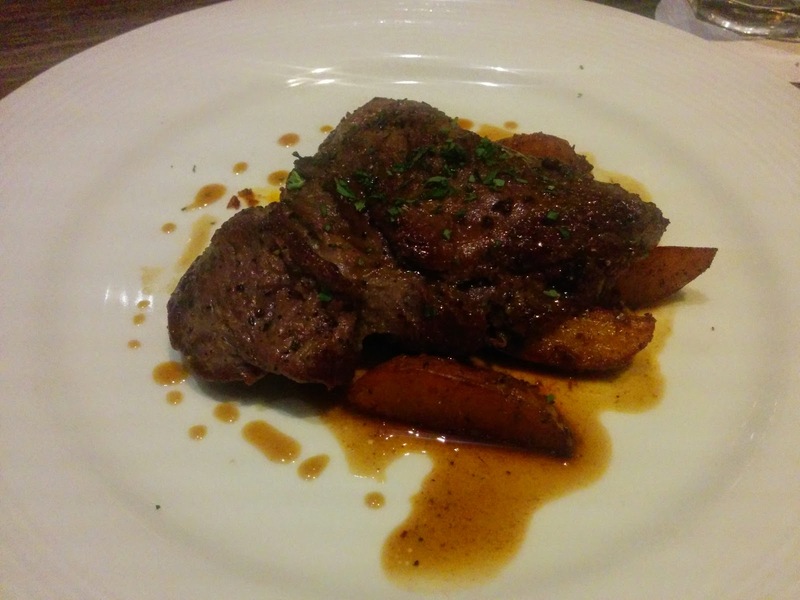 Zenia had the steak , however I had a bit to taste and found it a little tough for my liking. The best course was yet to come, The desserts – Crème brûlée was brilliant but the hit of the day was the Blueberry Vodka Sorbet. 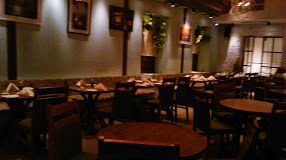 Service was very good and I loved the decor of the inner dining room. It is spacious and warm.